According to the Lumpkin County Sheriff’s Office, all Southbound lanes on GA 400 near Whelchel Road are closed, due to a single-vehicle accident involving a 1997 Toyota 4Runner, which resulted in two fatalities; a male, age 2 and female, age 4. 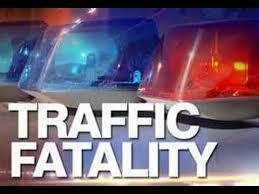 The wreck occurred on Wednesday evening, August 22. The children were announced deceased on the scene, as a result of the roll-over accident. The mother, who had recently relocated to Dahlonega, was transported to Northeast Georgia Medical Center, and the father was notified soon after. The cause of the accident is still under investigation by the Georgia State Patrol, and according to Cpl. J.A. Caldwell, charges are pending until the investigation is complete. 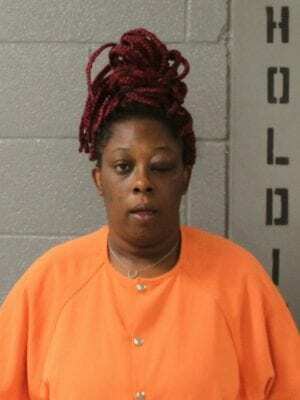 UPDATE: According to an open records arrest report from Lumpkin County Sheriff’s Office, Tiffany Grubb, (24), was arrested on August 23, and charged with, so far: reckless driving, (misdemeanor), two counts of DUI-Endangering Child Under 14-years-old while DUI (misdemeanor), failure to maintain lane (misdemeanor), two counts of safety belts; child passenger restraining system; penalty for violation (misdemeanor), an unspecified warrant, and DUI/alcohol/Less Safe (misdemeanor), driving with a suspended or revoked license (misdemeanor). According to an eye witness, one of the two car seats was located in the trunk of Grubb’s vehicle and was not being used, and the other car seat was not being used properly. In a statement released by Georgia State Patrol Public Information Office, on Aug. 22, at approximately 8:20 p.m., a 1997 Toyota 4Runner was involved in a crash on SR 400 at Whelchel Road in Lumpkin County. The driver, Tiffany Grubb, age 24 of West Palm Beach, FL, failed to maintain her lane of travel and overturned several times. Her two children, Jah’Ziya Glover, age 4 and De’Jean Glover, age 2, were killed in the crash. Ms. Grubb was charged with two counts of vehicular homicide (1st degree), Driving Under the Influence of Alcohol, two counts of endangering a child under 14 while DUI, Reckless Driving, Failure to Maintain Lane and Driving while Suspended.Updates will be provided as soon as they are received. The Georgia Open Records Act (O.C.G.A. 35-01-18) allows for www.fetchyournews.com to obtain and post the arrest records of any and all individuals arrested in Lumpkin County.